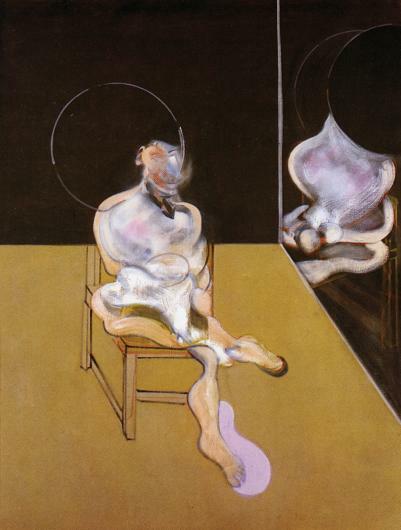 This 1983 etching, belonging to Bacon’s 'Seated Figure' series, shows the artist’s fascination with the human body, and his never-ending quest to understand it more fully. Indeed, Bacon was one of a number of other artists who, over the centuries, have thought that it is necessary to explore human anatomy from the inside, in order to completely understand it. Recently included in the Gemeentemuseum Den Haag’s exhibition entitled 'The Anatomy Lesson: From Rembrandt to Damien Hirst', Bacon’s 'Seated Figure' is a further contribution to a theme the British artist researched in great depth.